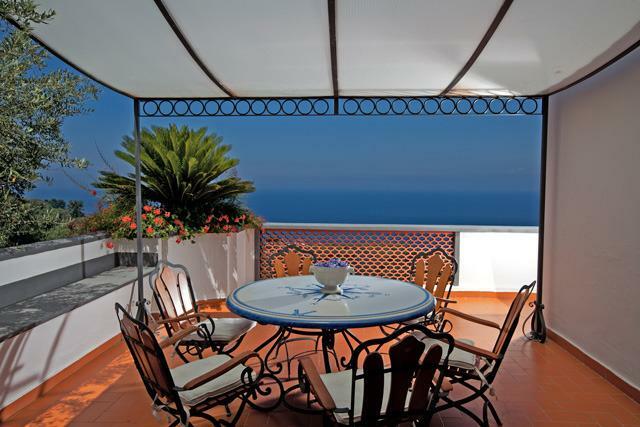 Villa 9114 is a luxury two-story villa with stunning open views of the sea and the Gulf of Naples. 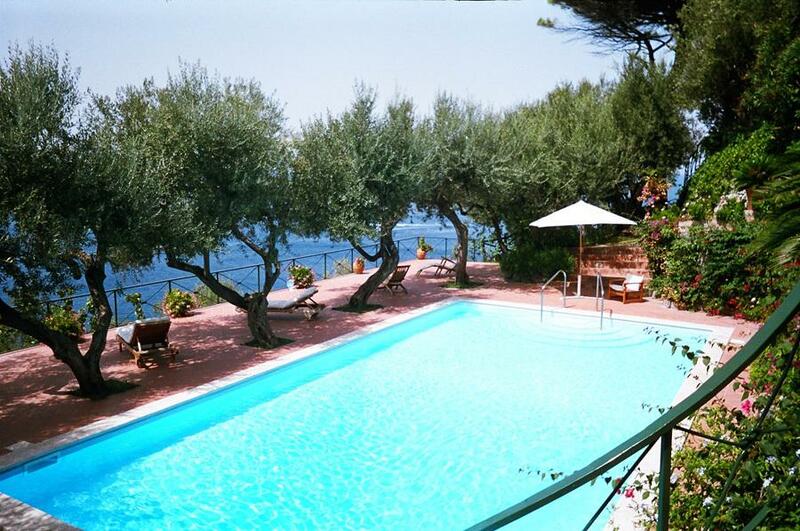 It is located less than 2 km from Sorrento, yet in a quite location, verdant with Mediterranean vegetation and flowered plants. 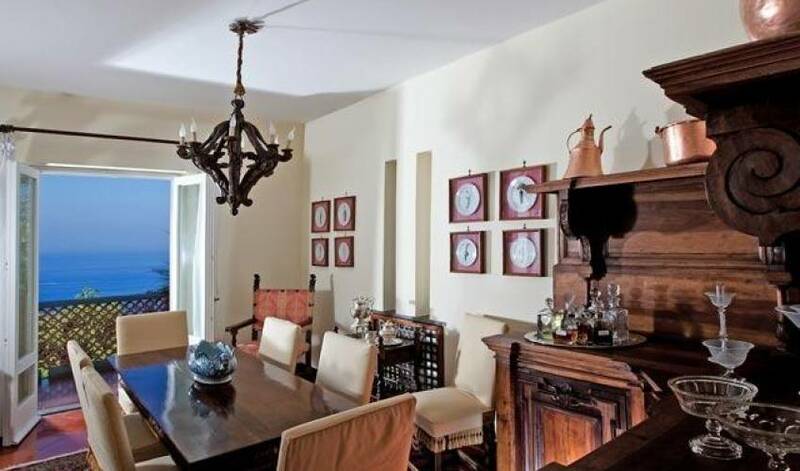 The elegant interiors are furnished with beautiful antiques, rich fabrics and light hues. 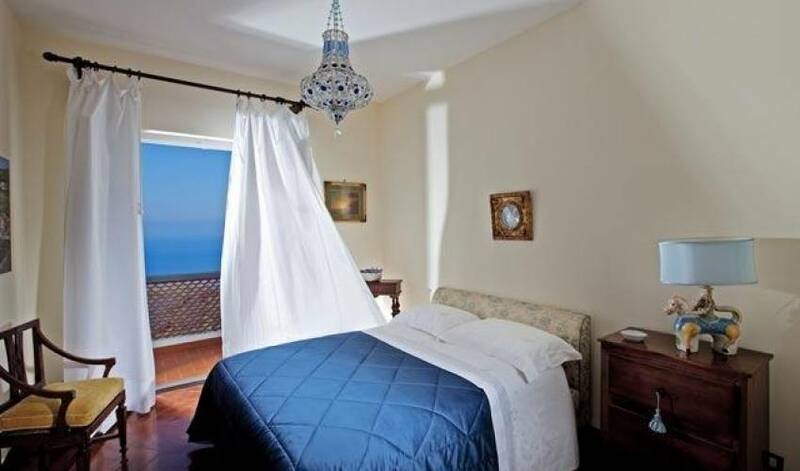 The rooms have a fresh and airy feel due to the oversized, luminous windows and sunny terraces. First Floor (18 steps up): 2 queen bedrooms each with en-suite bathroom (one with shower stall and one with Jacuzzi tub), 1 king/twin bedroom with separate bathroom with shower. 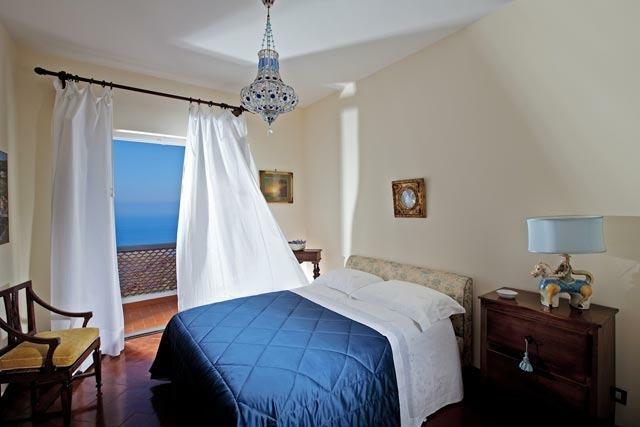 All bedrooms offer stunning sea views as well as direct access onto the terrace. All the bathrooms have beautiful ceramic tiles and high quality fixtures. Ground Floor: Spacious living room with fireplace comfortable sofa, chairs and dining area. Office area with internet connection. 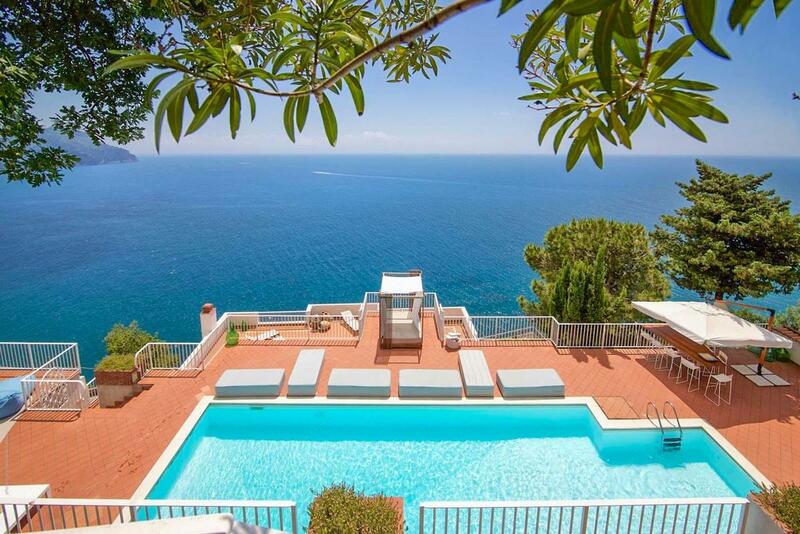 Two French doors give access to terrace with fantastic sea views. Large kitchen, equipped with all modern appliances. The kitchen opens onto the garden where the barbeque and a wood burning oven are ready for your gathering or a pizza party. 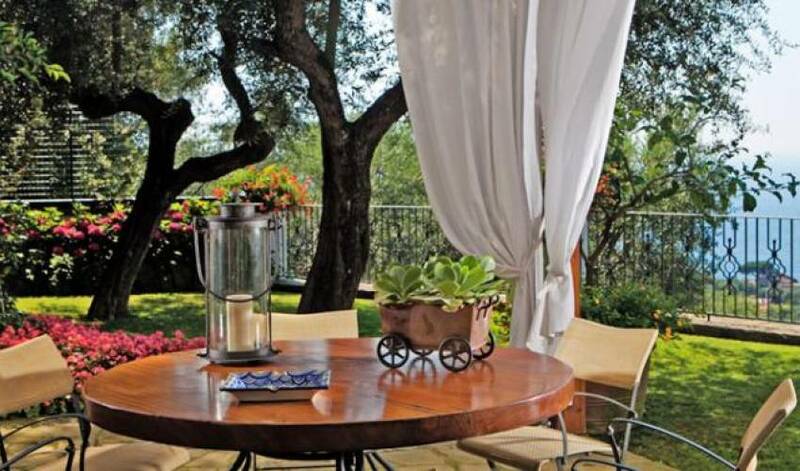 The terrace has a beautiful, white canvas pergola with table and seating for six. 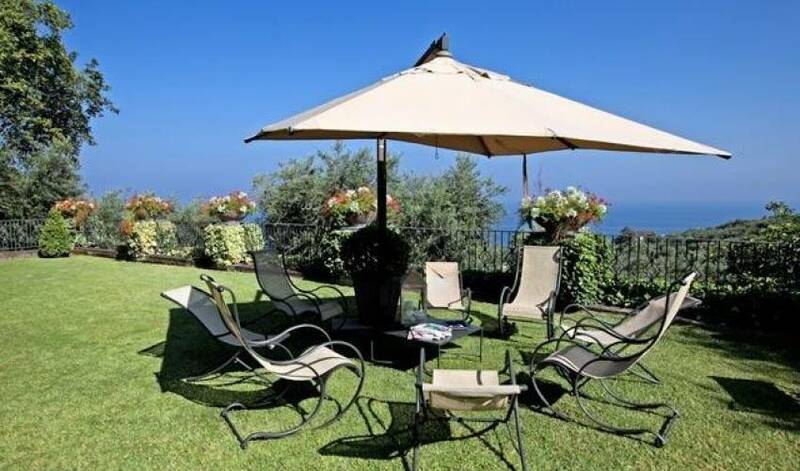 This is the perfect place to enjoy a good glass of wine while the sun sets. 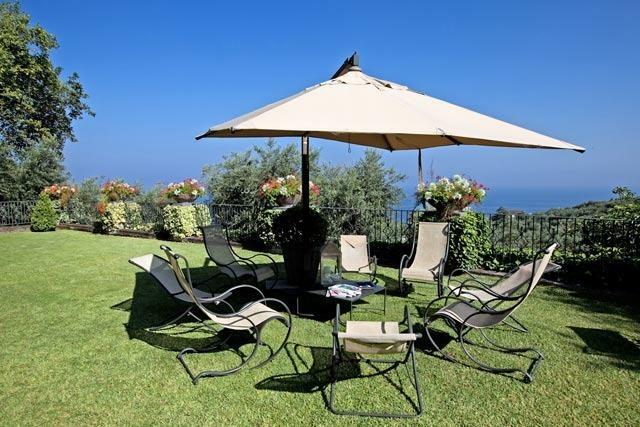 10,000 square feet of manicured gardens offering several furnished areas with stunning sea views. 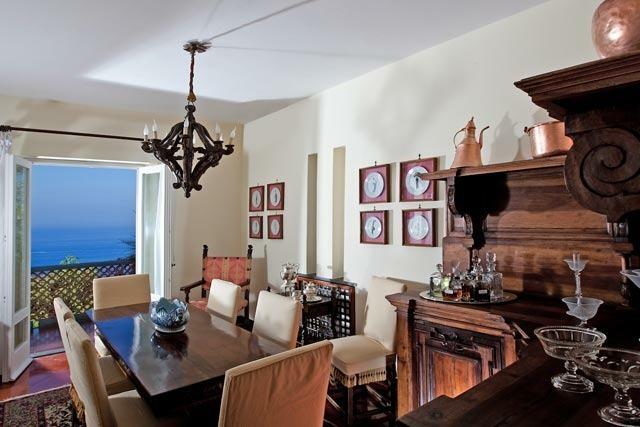 Worth mentioning is the villa's spacious, furnished portico - the ideal spot for breakfast. On the lower level of the garden, an elegant white gazebo, near the asymmetrical stunning swimming pool, is nestled amidst the trees. 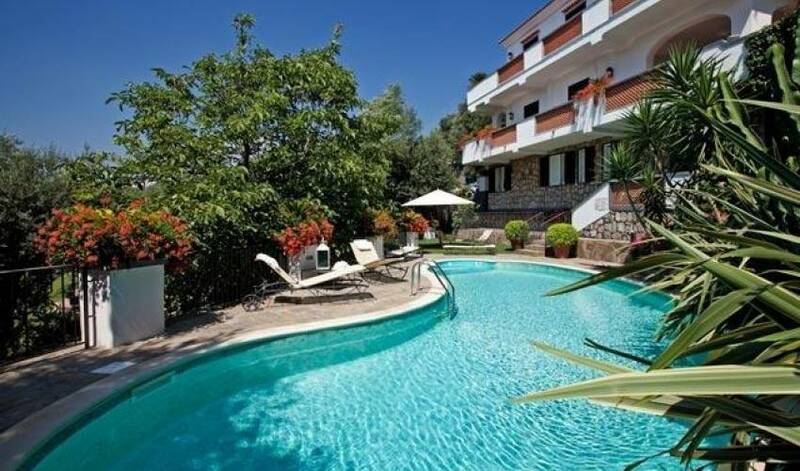 A/C in the bedrooms; Satellite plasma TV and Stereo; WiFi Internet access; Covered private parking; Swimming pool with whirlpool area; Furnished sun deck and outdoor shower; Fireplace; External barbeque with wood burning oven; dishwasher, washing machine and iron at guests' disposal; hair dryers in all bathrooms. 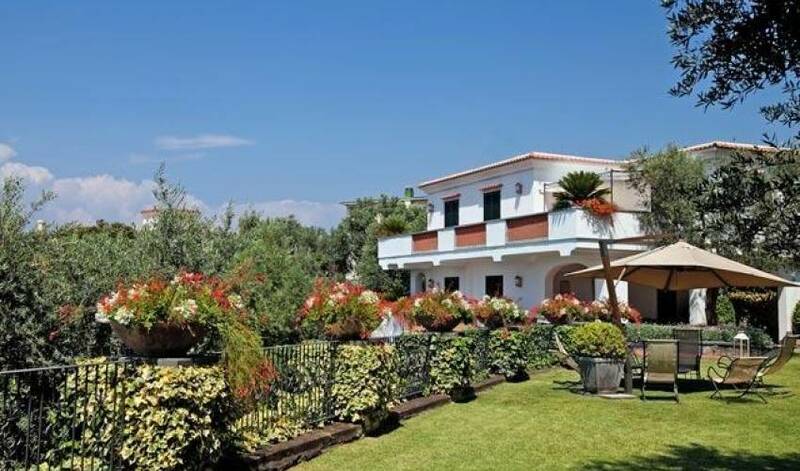 This villa is the perfect haven for those in search of privacy and relaxation. Just 1.5 kilometers from Villa 9114, you find a lovely fishing village with a sandy beach. 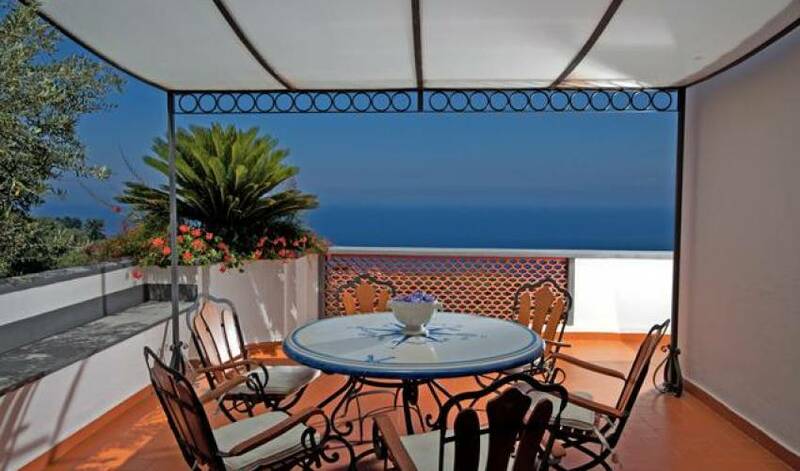 The closest stores are 200 meters from the villa as well as a small square, mini market, bar, post office and bus stop to Sorrento (5 minutes) and Positano.